The International Association of Survey Statisticians aims to promote the study and development of the theory and practice of sample surveys and censuses. It also aims to increase the interest in surveys and censuses among statisticians, governments and the public in the different countries of the world. 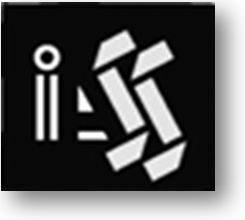 The International Association of Survey Statisticians is an association of the International Statistical Institute (ISI), a non-profit, non-governmental organisation established in 1885. Call for Requests for Support for Workshops and Conferences. The 2019 competition for young statisticians from developing and transition countries is open. See the announcement. The call for invited and contributed papers sessions is open! Read the latest message from the IASS president. Issue 79 is available in PDF format. The 2019 World Statistics Congress will take place in Kuala Lumpur, Malaysia, during 18–23 August 2019. Volume 79 of the Survey Statistician and previous issues available free of charge. Web page of the World Statistics Congress held in Marrakech, 2017. Become a member of an association of 430+ survey statisticians.